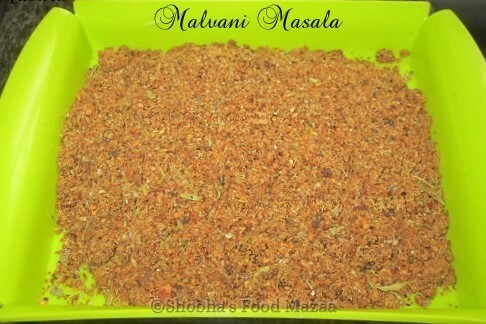 Malvani dishes are so spicy and full of flavour. Home made masala powder is always best. Here is the recipe for you. Dry roast and grind all the above ingredients. This quantity is sufficient for 1 kilogram of chicken/mutton. Increase or decrease chillies according to your preference. You can grind a large quantity and refrigerate it in an air tight container. delicious recipe . Inviting to join : http://easy2cookrecipes.blogspot.co.uk/2012/06/come-and-join-our-street-party.html. I love home made masalas. Can I use this one for dals? Yes, a spoonful will give dal a new taste and look.